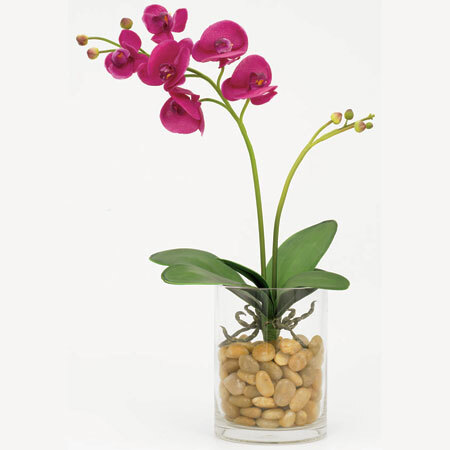 This lovely artificial orchid adds a dash of color and simplicity to any area. Use it for your table centerpieces or perhaps to decorate high top tables for your local cruise ship cocktail hour. Round trip delivery available but not included. Call for details.